I went to the cafe in the supermarket the other day. Well, you have to… walking around the store pushing a trolley is hard work, so you need a break. 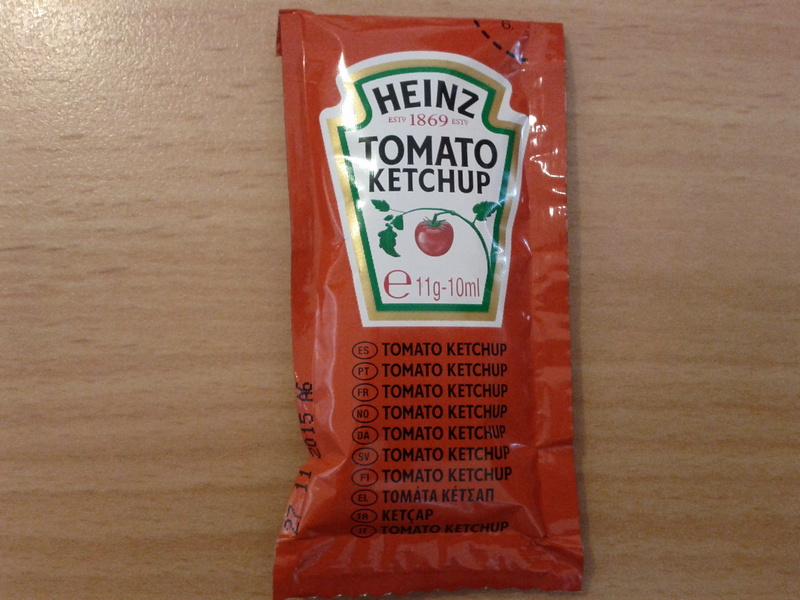 Anyway, once we’d ordered the food and found the table, I was looking at the ketchup sachets and something didn’t seem right. Below is an image of the front of the packet. Well, 4 out of 10 (or 6 out of 10 if you’re being lenient) isn’t that bad of a score, and if this is correct, I can now speak 4 more languages than I thought I could. Why wasn’t it as easy as this when I was in lessons learning it?